I finally watched Inferno, a 2016 movie staring Tom Hanks. The plot is dope. I love history and the play on Dante’s Hell and other historical facts/works of art just made it very intriguing. It was the kind of movie that captures your attention from the word go until the referee blows the final whistle :-). But the most important lesson from the movie is about FEAR. Fear is a very real emotion. It is the reason for most atrocities in the world. The opposite of Love is not Hate. It is Fear. 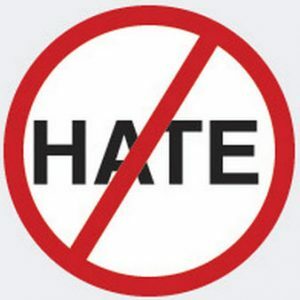 Hatred, bigotry and other forms of negative emotions are a result of Fear. Imagine a brilliant man, wealthy to boot thinking that the best way to ensure the continuity of the human race was to infect at least 95% of the world with a deadly virus guaranteed to wipe off at least half of the human race? His fear was that at the rate the World is growing, the planet would not be able to sustain the population. But his best answer was biological genocide. That is what fear does to the most brilliant of species. It blunts logical thinking and brings out primordial instincts. Fear is the reason people hate what they do not understand. Terrorism, racism, bigotry, homophobia, etc are all linked to a fear of the unknown. Humans generally respond negatively with fear to what they do not understand. It is a natural reaction. Our world would be a better place if we can tone down on fear. Wars are caused by fear. What if they bomb us first? What if they capture our country? Just a few weeks ago, North Korea and the USA were singing war tones. Ethnic groups within Nigeria cultivate fear and act it out. Even in business, it would do you a lot more good to eschew fear. Rather use logical thinking to respond to threats. That is why Strategy is not a game for fools but a tool for the wise. Blue Ocean strategy especially is one of the greatest business strategy tools ever. Instead of the normal fear that drives you to compete blindly and end up making the ocean red; you are encouraged to think deeply about creating new market spaces and innovate. Instead of fear, LOVE. Love and seek to understand. In understanding, you realize we are not enemies but family, brethren. And then we learn to treat each other better.